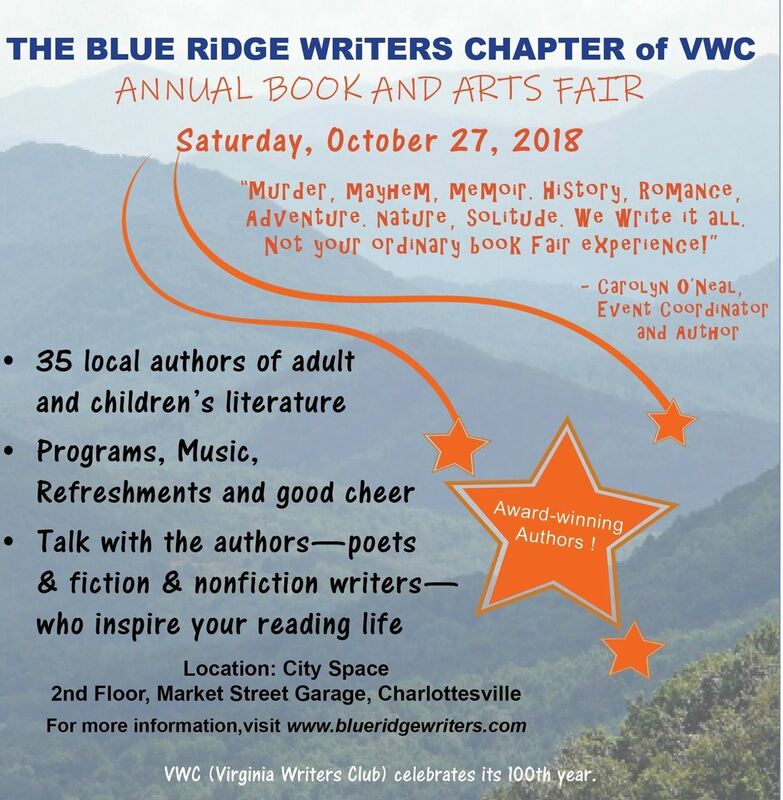 Virginia Writers Club - Blue Ridge Writers Book Fair - SOLD OUT! Blue Ridge Writers Book Fair - SOLD OUT! Please send an email to Betsy Ashton (betsy_ashton2005@yahoo.com) to be added to the waiting list! Indicate that you want a full or half table.